Nature’s bounty of fruits and vegetables are an easy way to add the much-needed multivitamins to our diet.Vitamin supplements never look half as good and no comparison is possible regarding taste. Many of the vitamins have their source in fruits and vegetables. Some, however, may have animal products as their best sources. Our busy schedule and lack of motivation often derail all our good resolutions.While on a self-improvement trip, I was able to increase the daily dose of this goodness, hence this post! Hope it helps, to get you motivated and add more nature’s goodness to your diet. Richest source is orange and yellow fruits and veggies. Carrots are a very good source. Vitamin B: Important for best energy production and repair of muscle tissues.Helps to keep our digestive system healthy. Folate:Liver,peanuts,green leafy veggies ,avocado ,pulses. Vitamin C, E: Both these are antioxidants.They help prevent cellular damage hence has anti-aging property, helps prevent cancer. Vitamin E: Fish oils, nuts, wheat germ, beef and organ meat, sunflowers seeds, eggs, green leafy veggies. Vitamin D, K: Keeps our skin, hair, bones healthy, role in proper blood clotting and overall neuromuscular health. Vitamin D Source: fish oil(cod liver oil), liver, egg yolk. Vitamin K Source: Green leafy vegetables, dried herbs, dried prune green tea, also produced by probiotic organisms in the intestine. Fruits and vegetables :Nature’s mutivitamins are packed full of delicious goodness.5 servings are a must .More the merrier .But the less you have it ,bigger the health problems.Know how you can get them into your daily diet without breaking a sweat. 2 servings of fruit,3 or more of veggies, would be best, but it’s better to be slow, steady and consistent. Gradually increasing number of fruits and vegetable in every meal helps to increase the total daily intake. Spanish omelette with sprouts, carrots, French beans.onions, tomatoes, peas and any other veggies you want. Sauté seasonal veggies in olive oil, add salt pepper, nuts, raisins and a portion of brown rice.garnish with lemon wedges. Salad of cucumber, apples, pears, shredded carrots, oranges and pineapples any others. Raita/ yoghurt with diced veggies, fruits of your choices. Grilled chicken with grilled veggies like carrots, beans tomatoes, peas. Salad of cucumber, onions Tomatoes. Diced carrots, tomatoes, onions with boiled chickpeas/ roasted peanuts/muri (puffed rice)/sprouts with a dash of salt, lemon, black pepper. Sweet fruits like mangoes, apples watermelon, ripe papaya, grapes, sweet berries, custard apple, by themselves are deserts but if you crave chocolate something, dip fruit of your choice in molten dark chocolate. Slow and steady definitely wins the race in this case.Whatever be the number of fruits and veggie servings you have nowadays, try to increase at least by one serve per week. A gradual lifestyle transition causes less havoc than a drastic change. Enjoy fruits as a family together, we started having fruits in front of our toddler which made her have them enthusiastically without much trouble. Have them as salads, chats, snacks, side dish, main dish, dessert, drink any way you want. Buy fresh, eat whole or cut, with or without seasoning just have them.Not only do they provide us with essential micronutrients, their fibre and water content and minimal calorie count make them ideal for losing weight and keeping it off the healthy way, so keep on munching! One small step in the right direction is a leap towards a healthier and happier life.Stay healthy, stay happy and remember Health is Wealth! I love fruits and vegetables but I’m always unsure of the quantity to be served but I read your blog during the A to Z and learned a great deal about it! Rajlakshmi supplements are great for vegetarians.You can check out some. Thankfully my husband and I are equally fond of vegetables. I try to vary the preparations too so that we don’t bored of only one type of dish. very informative post. I need to incorporate much more into my diet. i appreciate your point of adding this steadily, always we try to suddenly add 5 portions, which obviously doesnt work. Really impressed by all the comments…. Fruits and vegetables contain many vitamins and minerals that are good for your health. These include vitamins A (beta-carotene), C and E, magnesium, zinc, phosphorous and folic acid. Folic acid may reduce blood levels of homocysteine, a substance that may be a risk factor for coronary heart disease.Foods of similar colours generally contain similar protective compounds. Try to eat a rainbow of colourful fruits and vegetables every day to get the full range of health benefits. You are right.Rainbow of colourful fruits and veggies.I think I will borrow this phrase.Beautifully explained. Hi Amita, very nice article. previous to and you happen to be simply too magnificent. and the method by which during which you say it. You’re making it entertaining and you continue to deal with to keep it smart. I simply cannot wait to read a lot more by you. This can be really a great site. I love the title of this post. It really does say it all. Fruits are also natures candy and who couldn’t do with some extra vitamins. Yes fruits are nature’s candy filled with goodness.Great way to put it.Thanks for reading. Nice..As a dietician I know how important fruits and veggies are..you have explained in details here! What a great post. I remind myself every day to incorporate more fruits and vegetables into my diet. Such informative post!! I need to change my meal plan to live healthier and happier life. Your knowledge on this topic is amazing. I was a competitive swimmer for many years and can attest to a lot you include in this post. I really dislike veggies which is a set back but I try to eat as much fruit as possible. I love smoothies too!Thanks for reading. This is such an informative post- I loved the information that gave me concise info on what food source specific vitamins come from! These are great! I need to get up on some multivitamins. I sit in an office all day long with no windows. I do walk up to 5 miles a day at work through, i get my sunshine that way. That’s thought in the right direction! Really informative. I think I will bookmark this for later. I’ve been wanting to amp up my fruit/veggie/vitamins game. Nice post. That is very fascinating, You’re an overly skilled blogger. I have joined your rss feed and sit up for searching for more of your magnificent post. Additionally, I’ve shared your site in my social networks! Love this article. 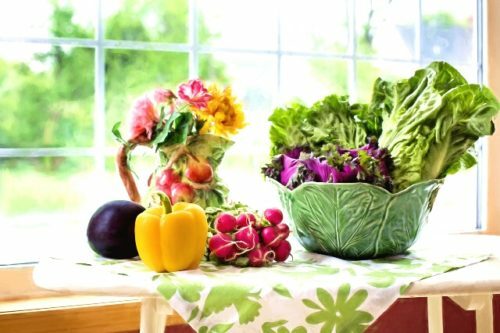 If we were to all eat more fruits and veggies, nutrient dense foods, we wouldn’t need supplemental vitamins. You broke it down really well!